While we are used to seeing our world from our perspective at ground level, drone technology has allowed us to vastly expand our horizons. Today, we can use drones to take pictures of things we may not have been able to see as easily before, with drone photography becoming an art form. Whether it’s looking at astounding architecture achievements from above or taking photos in precarious situations, drones can do it all. Drone photography has provided us with a new way of observing our world, and can help put things into perspective. Coming up: Seeing the insides of active volcanoes has never been easier. For those who don’t experience fall as a prominent season, images such as this are likely to take your breath away. Out of all the hundreds of trees in this picture, no two trees appear to have the same combination of colors. 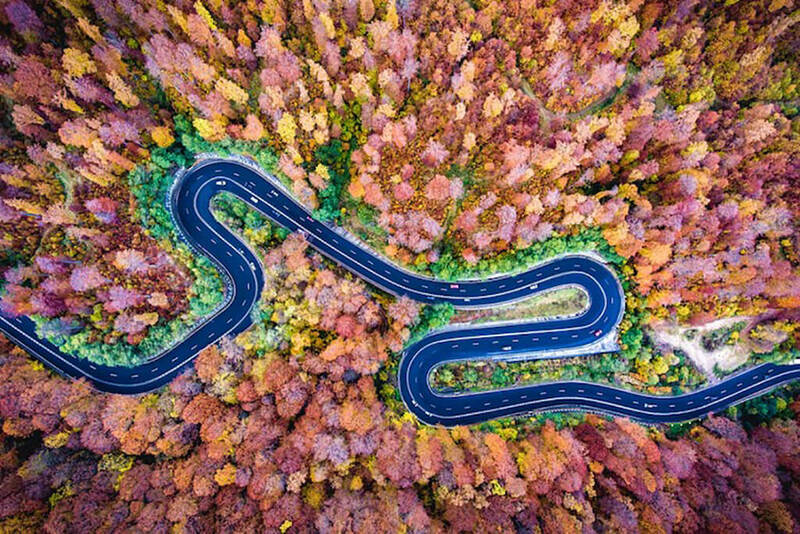 While driving through this forest may be amazing enough, seeing it from above really helps you to appreciate its beauty and just how colorful it really is. It makes you envious of the birds that get to enjoy this view whenever the seasons change. At a glance, this picture looks like an image taken of a different planet from a space telescope. 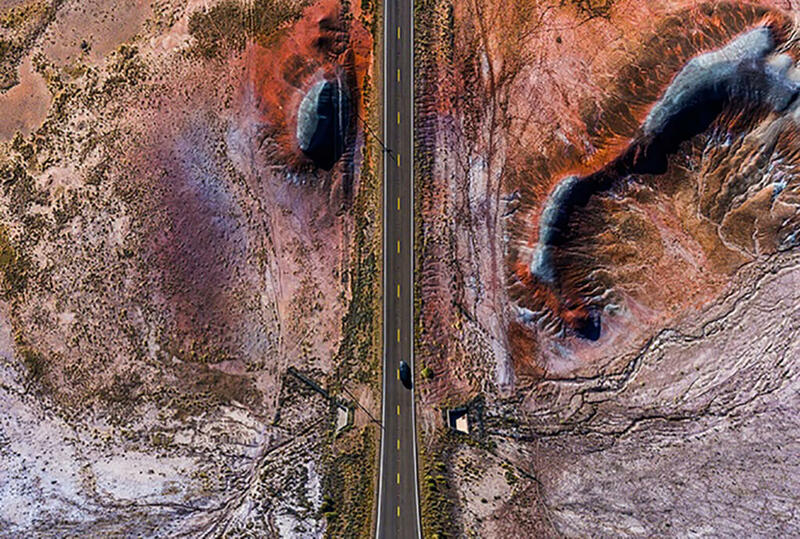 In reality, it was taken by renowned Turkish drone photographer Aydın Büyüktaş of Arizona’s landscape. Driving on this road it probably looks like you’re driving through Arizona, but when seen from above, it’s almost indiscernible from images that have been taken of Mars. It also helps to give the viewer an idea of how remote some areas of our world truly are. Here we see two tanks making their way through a once-populated area of Syria, a country suffering from years of civil war. The fighting has left much of it devastated. 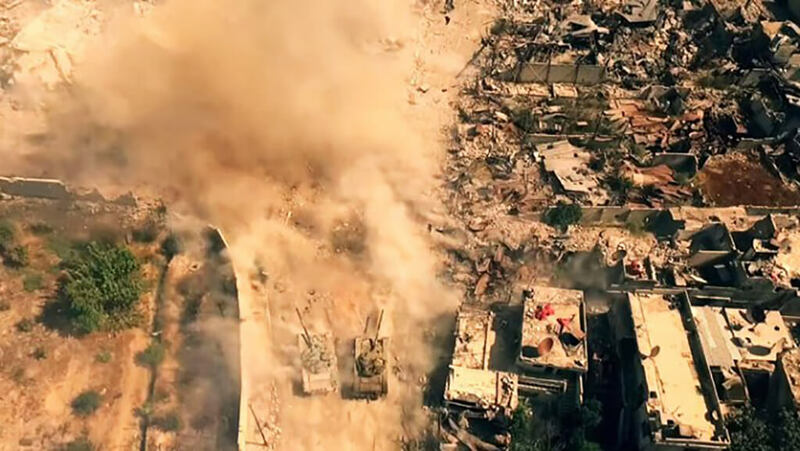 This aerial image helps us grasp not only how large army tanks truly are, but also the destruction they are capable of. The buildings surrounding them have all but been completely destroyed by warfare. The dust created by the moving machines is also mixed into the scene when explosions or crossfire occur in the area. The invention of the drone has allowed us to view things and travel to places that would have otherwise been dangerous for humans. 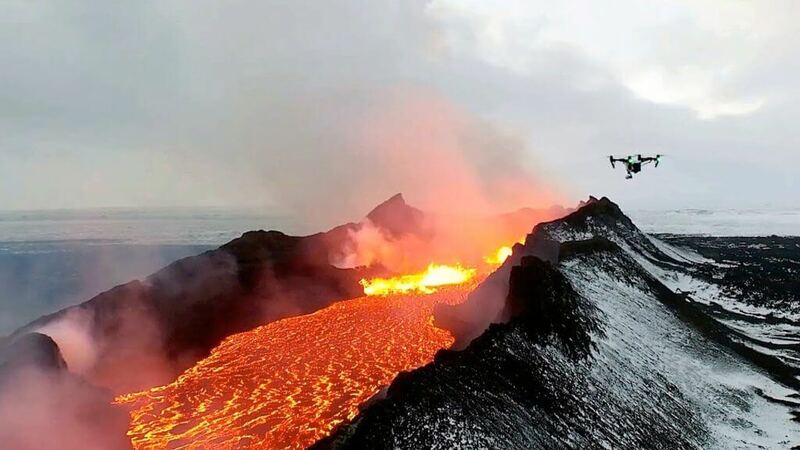 Instead of having someone hanging out of a helicopter in order to take pictures of this Icelandic volcanic eruption, we can use a drone to make sure nobody risks their lives. If the drone is damaged or destroyed completely, it is a small price to pay for the safety of someone trying to get pictures of the sight. 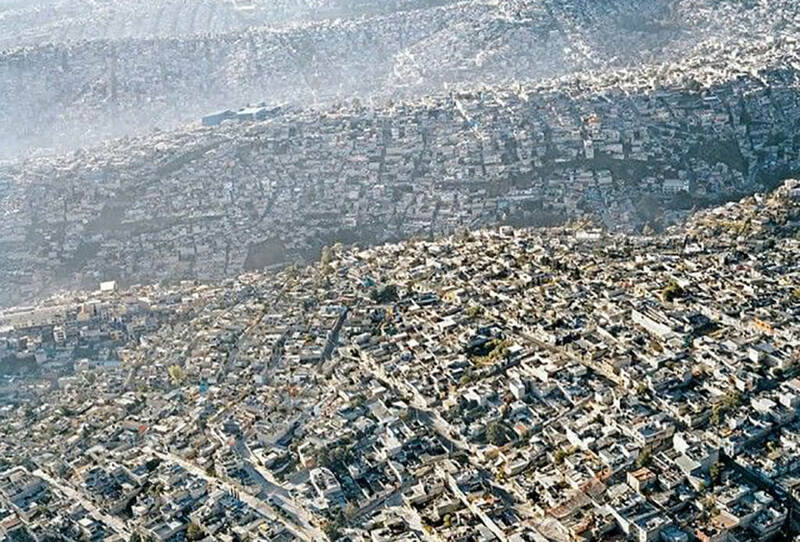 You won’t believe this photo taken of Mexico City. This is an image of Shanghai, China, one of the world’s most populated and busiest metropolises. From below, the freeways and underpasses may be covered in trash, graffiti or other unpleasant things. Yet, from above, they almost look beautiful. Viewing this scene from this vantage point helps you to appreciate the complexity of freeways, buildings, and other aspects of city planning. It’s also interesting to see how trees and other natural things are incorporated into the urban sprawl. Here is an aerial view of Bruce Campbell’s home, who has transformed a Boeing 727 aircraft into an unconventional living space. 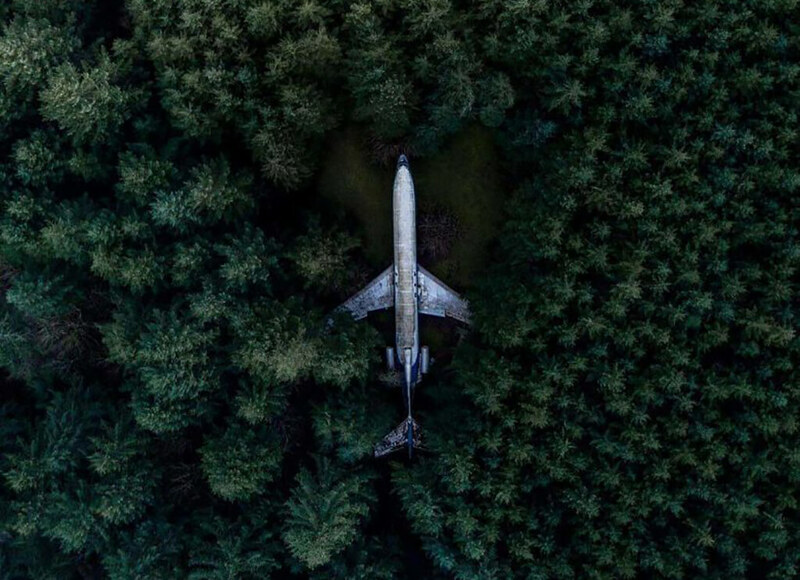 The plane is located outside of Portland, Oregon, and resides on over 10 acres of dense wilderness. While many people might think they’ve discovered the remains of an airplane crash, that’s just Campbell’s home. He lives there six months out of the year, and happily gives tours to those who stumble upon his home. This is an aerial view of Mexico City, the capital of Mexico and one of the most densely populated cities in North America. In 2009, the population of the city proper was approximately 8.84 million people, with a land area of only 573 square miles. However, the population of Greater Mexico City is 21.3 million, making it the largest metropolitan area of the Western Hemisphere. This picture provides an idea of how densely populated the city truly is, something that wouldn’t be possible to understand from the ground. Next, see what makes this church different from all the others. 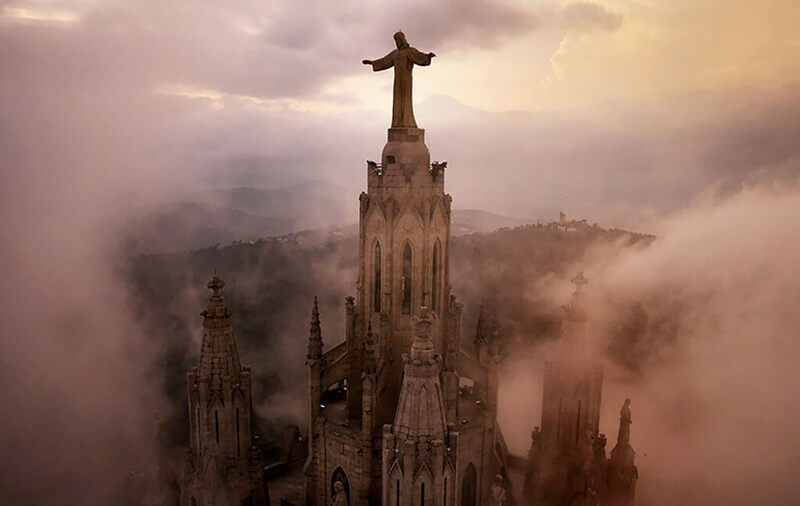 The turrets, peaks, and statues of Barcelona’s Temple Expiatori del Sagrat Cor Church oversee the commotion of the city streets below. While people can observe the top of the church by simply looking up, the view from below simply doesn’t do it any justice. Being able to see the top of the church at eye level demonstrates how much detail and work went into its completion as well as many other aspects that may often be overlooked because they are so high up. On the east coast of the Black Sea is the Republic of Abkhazia. During the early 1990s, this small region was the location of horrific widespread killings and an attempt at ethnic cleansing. Due to the brutality of the violence, many areas were abandoned by the population, in an attempt to escape the republic. This resulted in major regions becoming nothing more than a series of empty buildings, such as this college which is now overgrown and dilapidated. 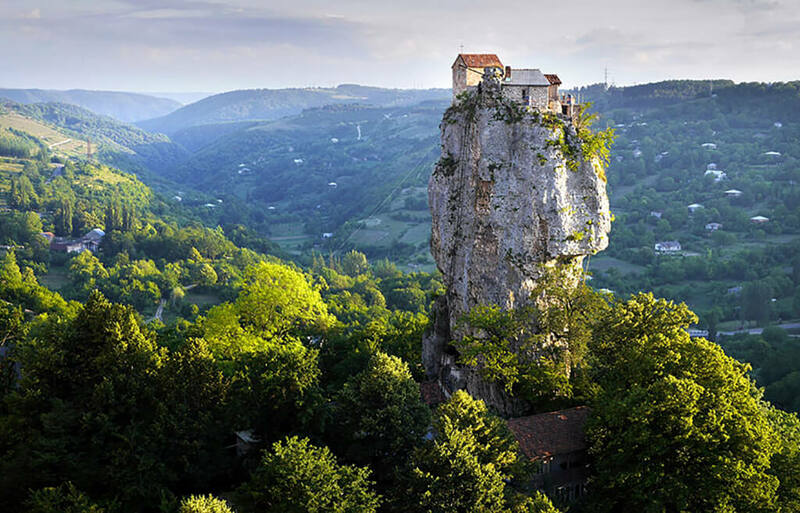 This is the Katshi Pillar, located in the Western Georgian region of Imereti near the town of Chiatura. The rock monolith is a natural phenomenon and is the site of the famous Georgian church. It is the home of the 59-year-old monk named Maxime Qavtaradze. He receives packages of food and supplies from his followers twice a week. They use a 131-foot ladder in order to scale the rock to go both up and down to the church. Drones have helped us capture its beauty and give us an idea of its true size. Ever wonder what the world looks like from a bird’s perspective? 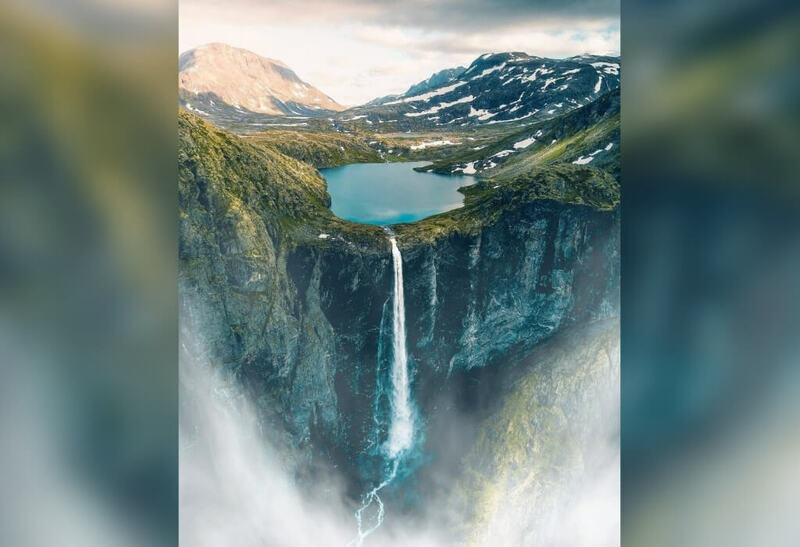 Mardalsfossen Waterfall is in Romsdal, Norway, and is one of the highest waterfalls in Europe and even the world. The vertical drop measures 1,175 feet with the swirling clouds on the bottom creating the optical illusion that the waterfall is floating, rather than resting on the mountain face. This shot captured by a drone demonstrates some of the beauty in the world that people most likely would never be able to see without such technology. This picture was taken in China’s famous spout of the Yellow River and is one of the great falls of the water tower in Heilongjiang province. The diver surprised the world with this leap, and solidified himself as one of the best divers in the world. This picture helps show the size of the waterfall and the skill involved in the feat. While we can often see birds flying overhead or can see the world from up high in an airplane, it’s rare that we get to see it from a bird’s point of view. 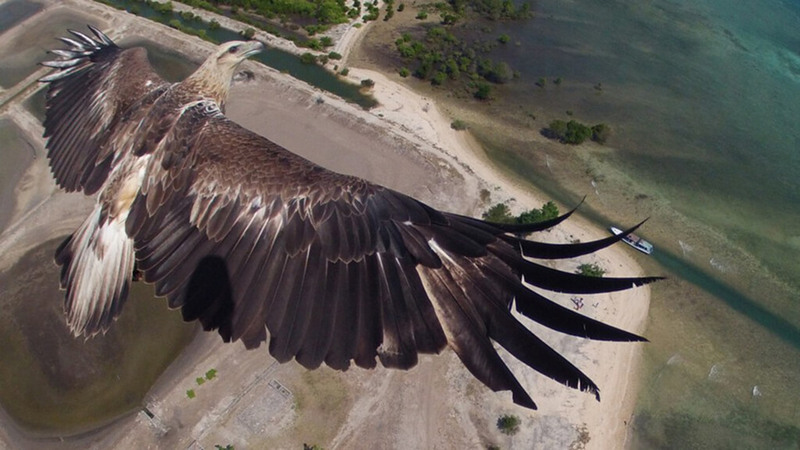 This drone captured exactly what this bird is seeing by flying over its shoulder. It helps put into perspective how high birds actually fly and what they able to see while they are soaring in the sky. What makes this picture especially rare is that birds of prey are known to attack drones out of the sky, thinking they’re competing birds. Check out this upcoming job that isn’t for people who have a fear of heights. This drone image was taken by Justen Soule, one of the most respected and leading names in drone photography. This unbelievable photo was captured by Soule in 2017 in the Alexandria Bay between New York and Canada. 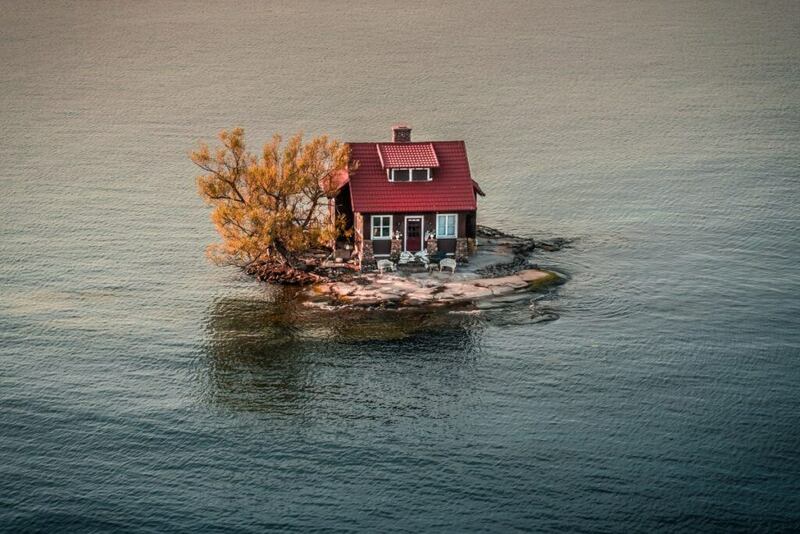 Being able to take the picture from up high allows the viewer to see the total complete isolation this house has from the surrounding area. It even manages to capture the changing of the seasons with the one tree in the front. 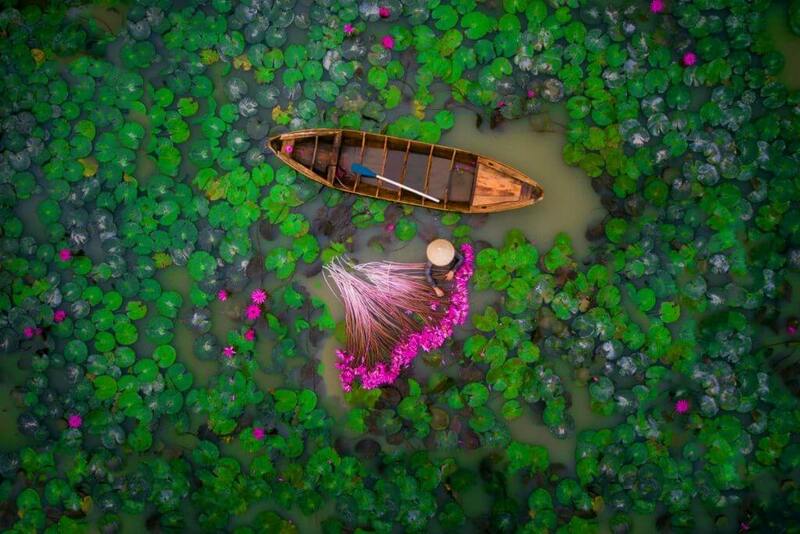 Captured here is a woman harvesting water lilies in a pond in the Mekong Delta in Vietnam. 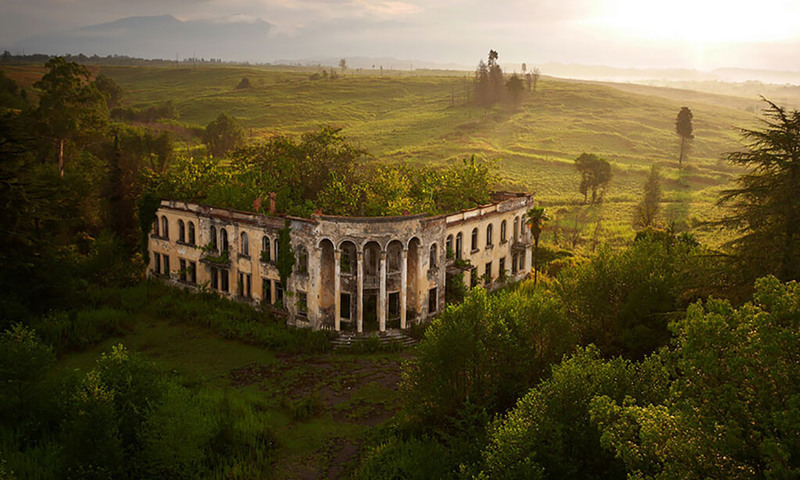 The photo taken was by a Vietnamese author known as helios1412. 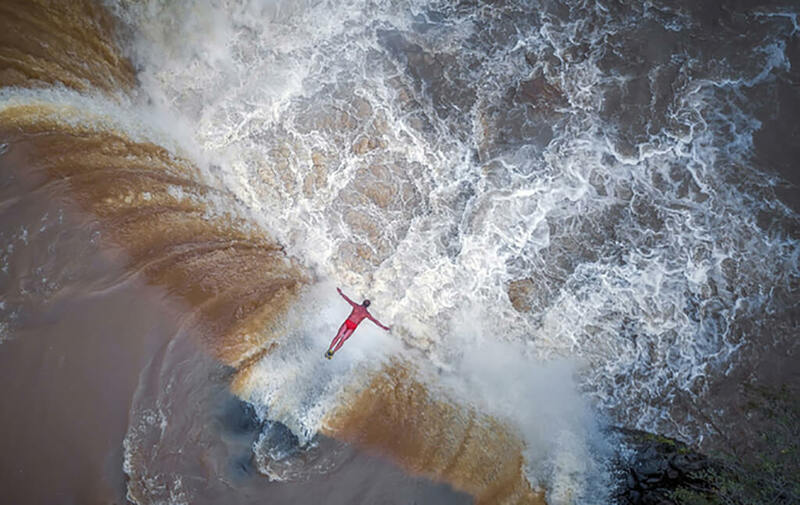 They won second prize in the 2017 People International Drone Photography Contest with this. This photo illustrates that the best pictures taken by drones don’t have to be the highest in the sky or of the biggest subjects, it’s primarily about technique. While it may seem that this is a picture of a cracked desert floor that has been altered by Photoshop, it’s actually a family sailing on a crystal clear lake that perfectly exposes the bottom. 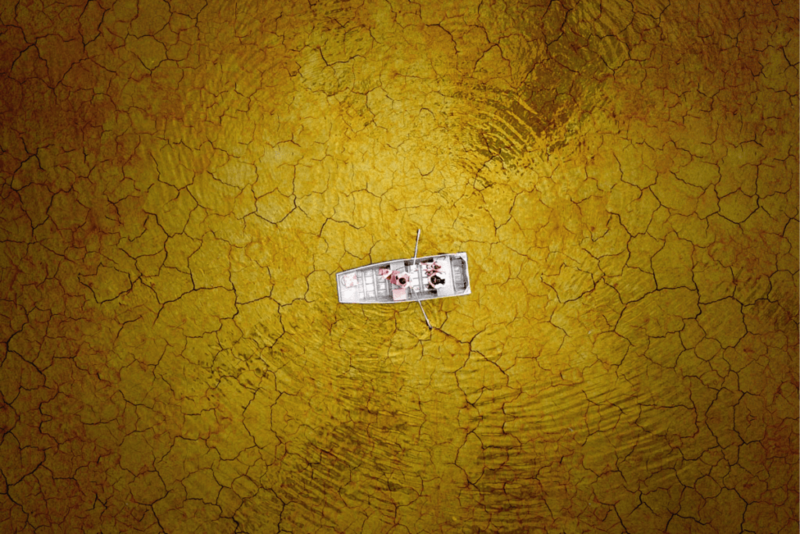 The picture was taken by drone photographer Milo Allerton and is titled “Cracked Mud Boating.” The outcome of the photo is almost unbelievable yet proves that there’s a whole new genre of photography to be explored simply by heading skywards. When looking at a skyscraper, most people don’t think about how all of the windows on the outside are kept clean. 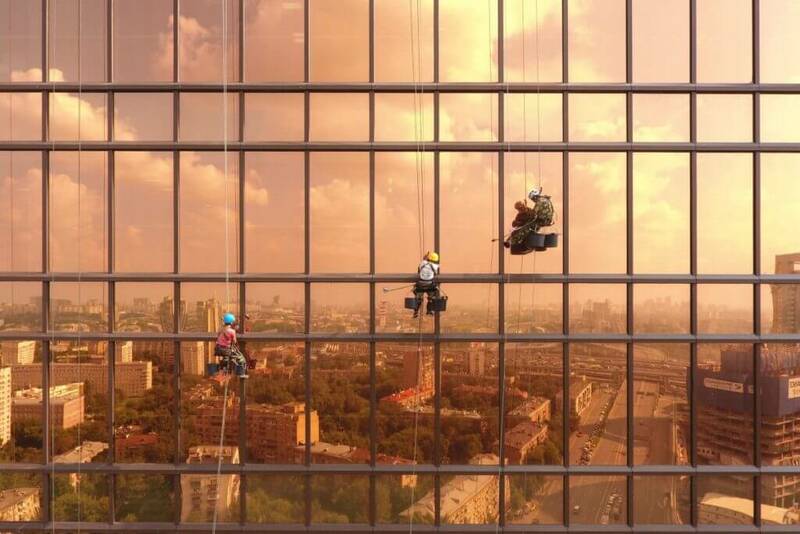 Well, they’re cleaned how most other windows are, except the window cleaners are dangling hundreds of feet in the air. From the ground, you may not even be able to see these men at work, but using a drone, you can grasp just how “extreme” their job truly is. We hope none of them have a fear of heights! 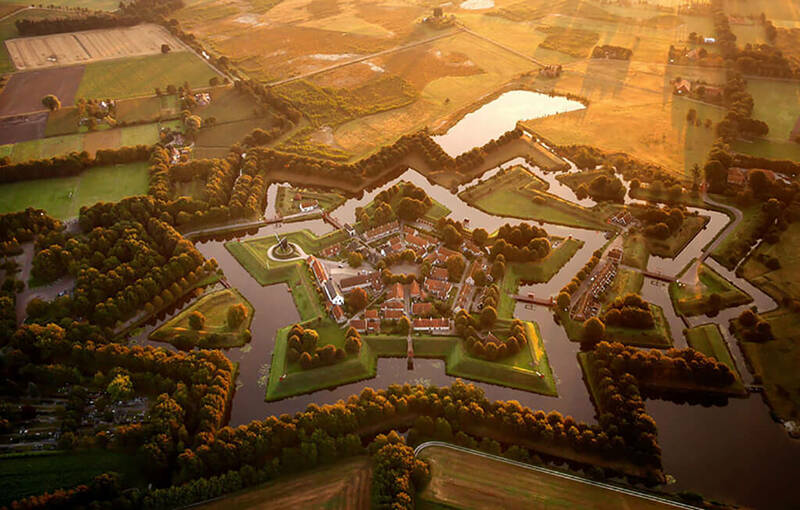 Fort Bourtange is a star-shaped fort in the village of Bourtange, Groningen, Netherlands. It was built under the orders of William the Silent and was completed in 1593. After experiencing its final battle in 1672, the fort was eventually converted into a village in 1851. Today, Fort Bourtange is used as a historical museum. From the ground, you may not be able to understand the design or beauty of the construction, but now we can with the help of a drone. 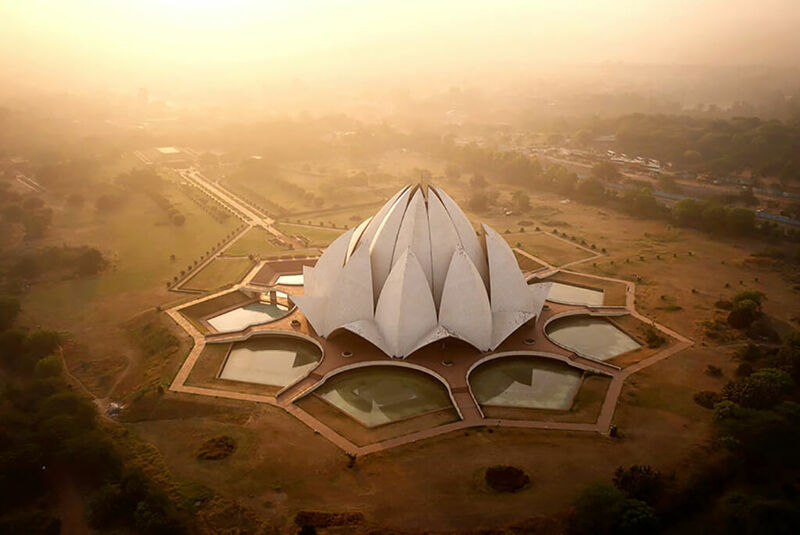 This picture is of the Lotus Temple, located in Delhi, India. It is a Bahá’í House of Worship that was dedicated in December 1986, and cost over $10 million to construct. It is a prominent attraction in the city and is open to the public regardless of a visiting individual’s religious beliefs. The temple has won numerous architectural awards and has been referred to as the most-visited building in the world. What makes this picture so amazing is not only do we get to see the incredible architecture but because it is now illegal to fly drones in the area, there won’t be any others taken like it. 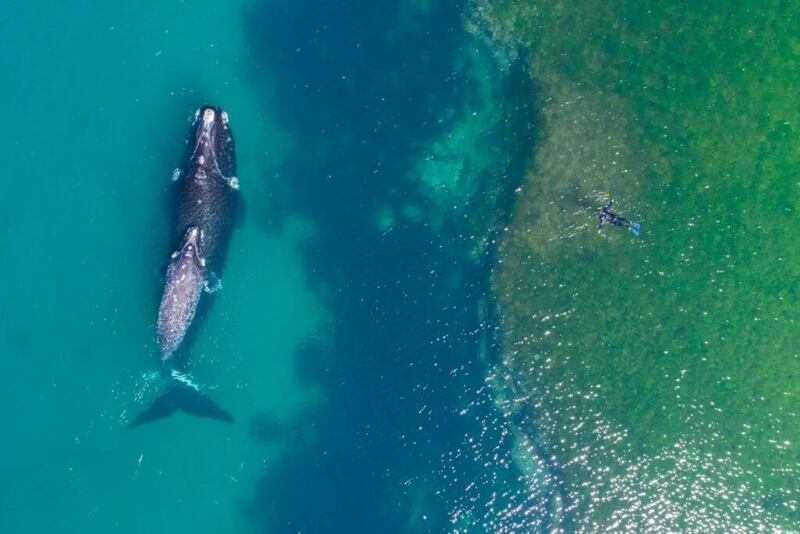 While there is no denying the enormous size of humpback whales, this drone footage shows the actual size of the mammal when compared to a diver. Humpback whales can grow to up to 16 meters and can live for more than 50 years. Seeing a whale of this size from above is almost more impressive than seeing one up close, which is how we are used to seeing them in regular pictures or video footage. The question is whether the diver knew there was a whale not very far away from them.